Thanks to the generous help of friends near and far, the students of Matepani thoroughly enjoyed their first field trip. We spent many hours on a bus and covered a lot of ground in two days, visiting old friends and making new ones along the way. A special thank you to our teachers who helped make the trip a success. Managing a busload of excited students is no easy task, and our team made the learning experience fun for all. We visited Chitwan, Butwal, Lumbini and saw several temples and monasteries along the way. A few other fun activities were sponsored as of late... a momo making party and a rafting adventure for our older guys. GRG Adventures took great care of our group, guiding them safely along the Trisuli River. Thank you to all who supported our Indiegogo fundraiser! 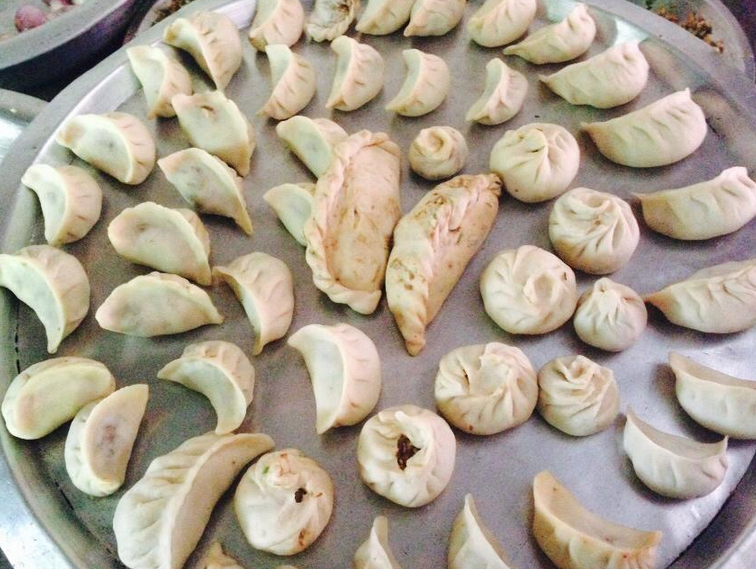 We made over 500 momos by hand. "Mito cha."